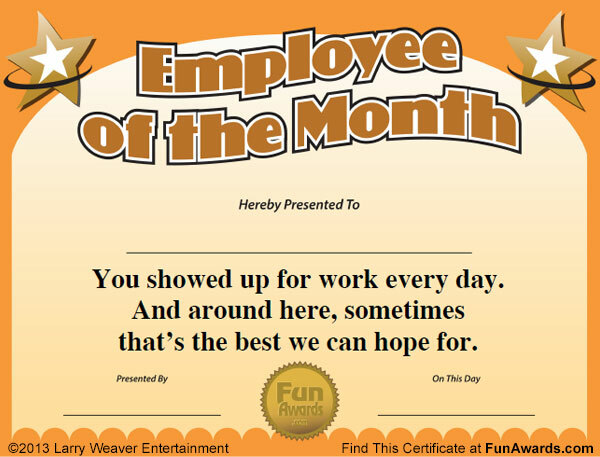 Around every place of business, there comes a time when it’s necessary to give your most valuable employees a “thank you” that shows you care. 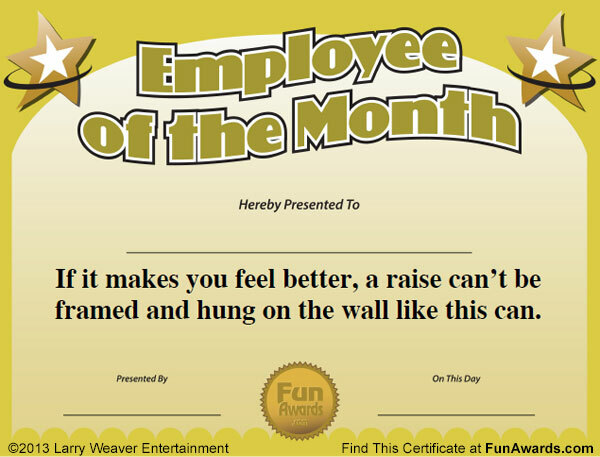 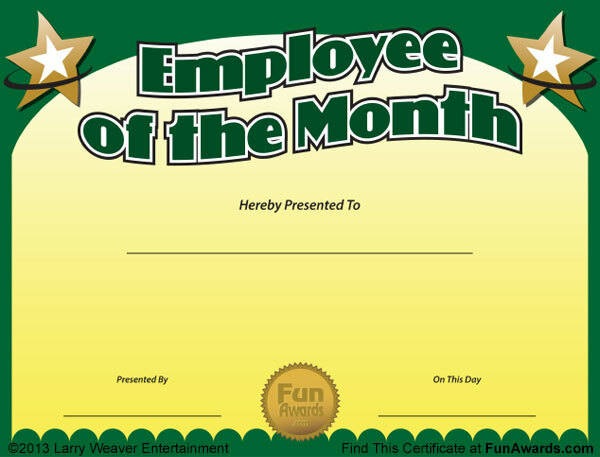 Add some laughs to the tried and true "employee of the month" formula with these creative and funny certificates. 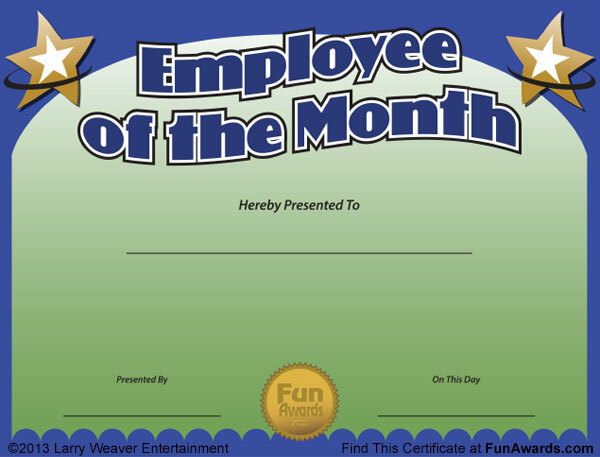 Sample Employee of the Month Certificates: 12 in All! 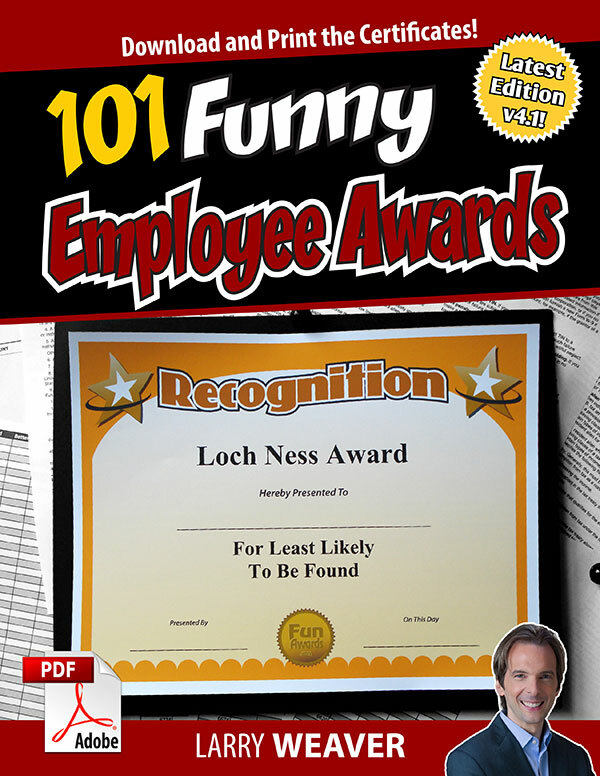 Find these Employee of the Month Awards in 101 Funny Employee Awards by Larry Weaver.